Bruno Cruciani cooked over a grill in the kitchen of Shepard in Cambridge. In just two years, Shepard Restaurant & Bar in Cambridge has won a devoted following and accolades among culinary connoisseurs for dishes such as savoy cabbage and roasted chicken that are smoked, seared, or charred in its signature wood-fired oven and on an open-flame grill. But all that wood smoke is an unwelcome taste to Anne Watkins, a neighbor who says it can be overbearing. Watkins is among a small group of neighbors who say they have endured a constant harsh haze that hangs in the air, seeps into their homes, and makes breathing uncomfortable. While the restaurant’s owners have taken numerous steps to reduce the smoke, the neighbors said the air remains unhealthy, and they have asked Cambridge health authorities to forbid Shepard from cooking with wood or charcoal. 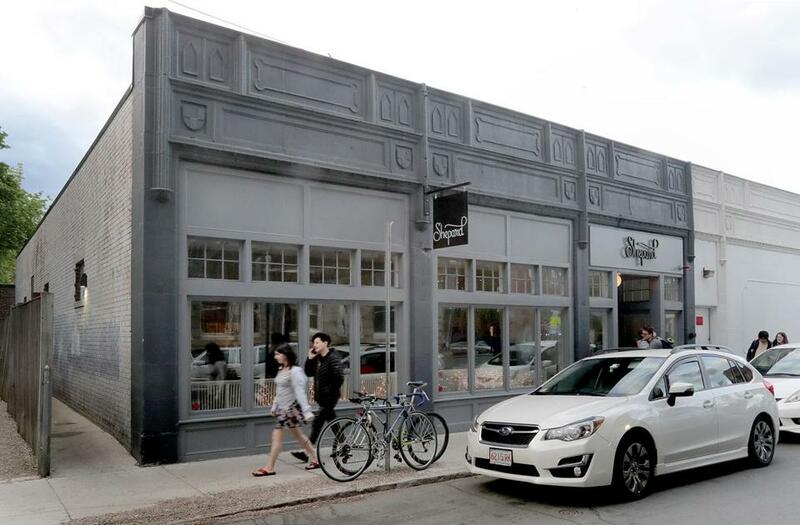 Shepard’s owners are frustrated, too — at the neighbors — and complain that city health officials are coming down too hard on the restaurant. Owners Rene Becker and Susan Regis said they have changed the type of wood they burn, substituted charcoal more often, and spent more than $100,000 on equipment to reduce the smoke from its vents. Rene Becker is co-owner of Shepard, with Susan Regis. They say they have taken significant steps to minimize the amount of smoke from their Cambridge restaurant. Cambridge’s public health commissioner, Patrick Wardell, held a hearing on the neighbors’ request in April and is expected to rule in June. Becker has said that if the city prohibits the restaurant from cooking with wood, the restaurant would likely close. 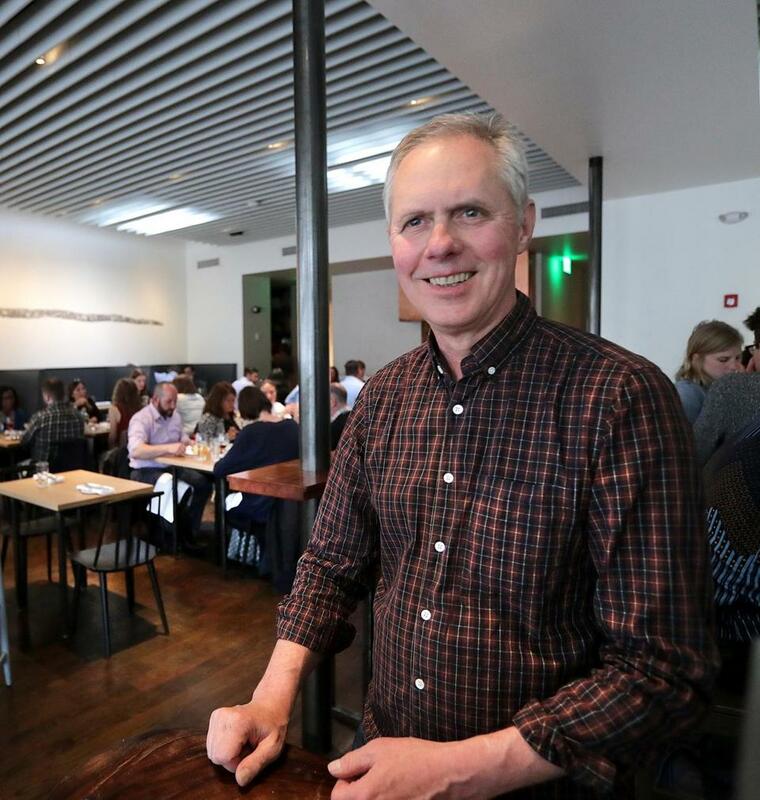 Shepard’s principals are stars of the local food scene. Becker is founder of the popular Hi-Rise Bread Co. in Cambridge, while Regis came up in the industry working with famed chef Lydia Shire and was a regional semifinalist this year for a coveted Best Chef award from the James Beard Foundation. Neighbors, meanwhile, speak of those first months as nightmarish. The couple had been considering buying a bigger home for their growing family, and Tanwar said the smoke hastened their decision to move, three months after Shepard opened, to the other side of Cambridge. Becker and Regis acknowledge that at first they used too much red oak, which emitted more smoke than anticipated. Shepard has since switched to white oak, which is a drier wood that burns hotter and produces less smoke, Becker said. The restaurant also uses less wood overall and mixes in more charcoal. They have also added more menu items that don’t require use of the grill. Shepard underwent a series of trial-and-error fixes, including installing fans to redirect smoke toward Massachusetts Avenue and filters to capture particulates and grease. At the city’s recommendation, Becker spent $65,000 on a scrubber for the vent system that captures particles. The scrubber worked well for a bit, but Becker had to call in an engineer after its performance began slipping. The neighbors credit Becker and Regis for doing much to mitigate the smoke, which they said is much less pervasive now. Still, some said the smoke remains enough of a constant to be a nuisance, and they are worried the particles are dangerous to breathe. Shepard restaurant, which opened in June 2015, replaced the neighborhood fixture Chez Henri. The smoke appears to be affecting only a small number of immediate neighbors. Ron and Emily Axelrod live about a block down Shepard Street from the restaurant and said they have not been bothered by the smoke. As the wood-fired cooking trend spreads, so have the complaints. In Brookline, the owner of a barbecue restaurant agreed to stop using a pit smoker in 2009 after neighbors complained about odors. In Pittsburgh, a church claimed in 2015 that wood smoke from a nearby hotel restaurant was setting off its fire alarms and damaging its building. 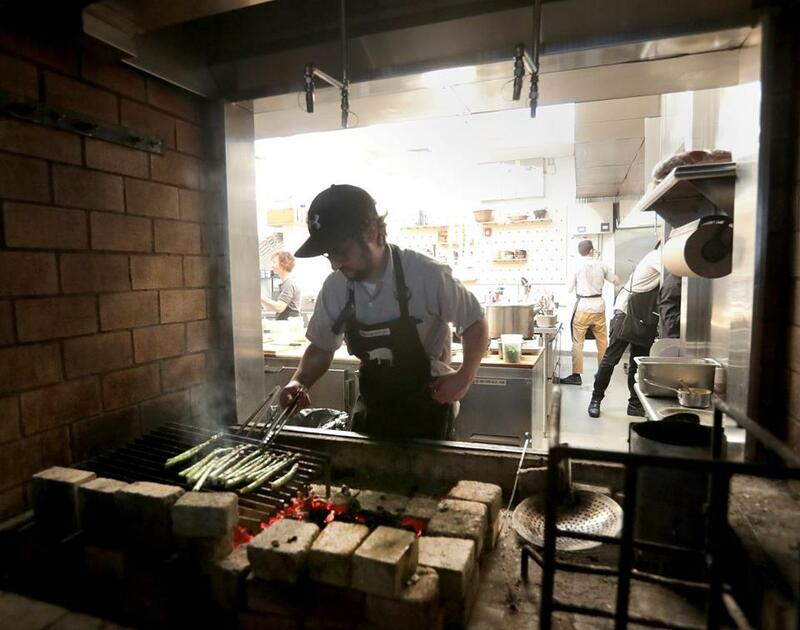 After the neighbors first complained about Shepard, the City Council last fall discussed banning restaurants from using wood-fired ovens and grills. That drew a sharp reaction from restaurateurs, with chef Andy Husbands, of the Smoke Shop BBQ in Kendall Square, and Tom Brush, co-owner of Felipe’s Taqueria in Harvard Square, telling councilors a ban on wood or a mandate to use expensive scrubbers would be financially ruinous and force some restaurants to close. The council backed off, and city officials are now looking into adopting broader regulations governing wood-fired restaurant systems. But Becker said Cambridge is unfairly singling out Shepard. He also said his request that the city conduct its own scientific analysis has gone unheeded. In the meantime, Lee noted that he and his wife are looking to buy a house and said the experience has persuaded them to leave Cambridge. Correction: This article has been updated to reflect that one of the principals, Peter McKenzie, has since left the restaurant.